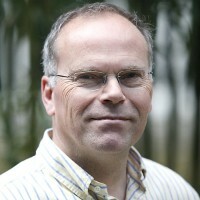 Professor Mark Post first became involved in a Dutch government-funded program investigating “in vitro meat” in 2008, when he was a professor of tissue engineering at the Eindhoven University of Technology. The program had been initiated by Wilem van Eelen, an 86-year-old entrepreneur who held a long-time fascination for the possibility of cultured meat. When the director of the program fell ill, about mid-way through the program, Post took over supervision of the PhD students. Motivated by the potentially high societal impact, he continued research even after the funding had ended in 2010. Renewed funding by a private partner enabled the realization of a project to create a processed meat product using muscle cells from a cow. He joined the KNAW Interuniversity Cardiology Institute of the Netherlands before being appointed full-time assistant professor in medicine at Harvard Medical School, Boston, Mass., in 1996. Five years later, he moved with his lab to Dartmouth Medical School, Hanover, NH, and was appointed associate professor of medicine and of physiology. In July 2002, Dr. Post returned to the Netherlands as a professor of vascular physiology at Maastricht University and professor of angiogenesis in tissue engineering at the Technical University Eindhoven. Since January 2004, he has been chair of physiology and vice dean of biomedical technology at Maastricht University.